when i was growing up, my mom always made salmon croquettes. she made them ALL THE TIME. i remember standing there and watching her make them. they were the bomb, too. so, when i started thinking of a recipe for salmon burgers, i remembered the way my mom used to make her croquettes. i used it as a base and added some lemon zest, replaced some of her flour with panko and instead of onion, used scallion. since my kids are huge mayo fans, i thought i would make some kind of mayo combination for the salmon burgers. since cilantro is my favorite herb and lemon is so great with fish, it was a no brainer. we loved it. preheat a griddle and drizzle the oil over top. in a medium sized bowl, add all of the ingredients for the salmon burgers. stir well, and form into 6 patties. once the griddle is hot, place the patties on the griddle, cooking a few minutes until browned on each side. 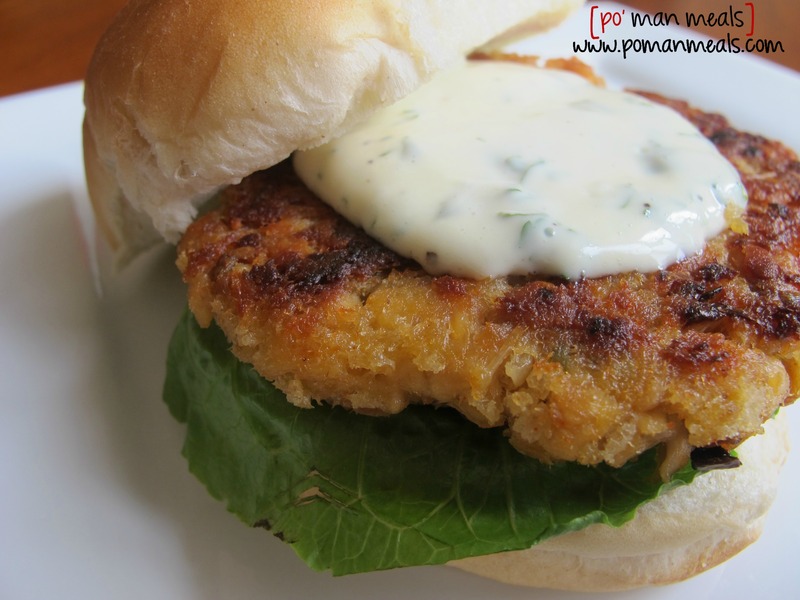 place a piece of lettuce on each bun bottom, top with a salmon patty and dollop some lemon cilantro mayo over top. feel free to use fresh salmon instead of canned. sub in your favorite herb into the mayo if you dislike cilantro. Mmmm I love salmon “patties” as my momma called them. 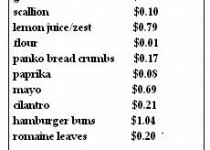 The lemon-cilantro mayo sounds SO good! 🙂 I gotta try that. these salmon ‘patties’ are yummy, lol! they are a regular in this household. i think you will love them. I’ve never had a salmon burger but these look delicious!